For an outstanding game of golf in Munster, Indiana, you’ll want to make sure you visit Centennial Golf Park. This beautiful course is everything you could want from a golfing experience and more! Centennial Golf Park offers a 9-hole, par 36 championship golf course and a practice facility that was designed by Tim Nugent. You’ll find that there is a beautiful mix of highland and marsh settings, which makes it an excellent place to relax after a long week of work. If you want to work on your swing, make sure to check out the driving range. It is a 200 yard, double-ended range, with plenty of room. If you need to pick up some golfing gear, make sure to stop in at the golf shop. There you will find all the supplies you need. 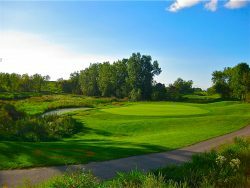 When you are looking for an excellent course to play a round of golf, look no further than Centennial Golf Park. Booking Howl2GO Dueling Pianos’ world class show to your Munster, IN event couldn’t be simpler. From conventions to corporate events, weddings to fundraisers, our unbeatable Dueling Piano shows bring a high energy, interactive show that your guests will remember for years to come anywhere in Indiana!